Peace, Fear, Oppression, Actionsâ€¦ – What will matter in a hundred years? Oppression is a violation of human rights. No person has the right to act in a way that is intended to make others fearful of them. No one has the right to deny others the freedoms expressed in our Constitution. 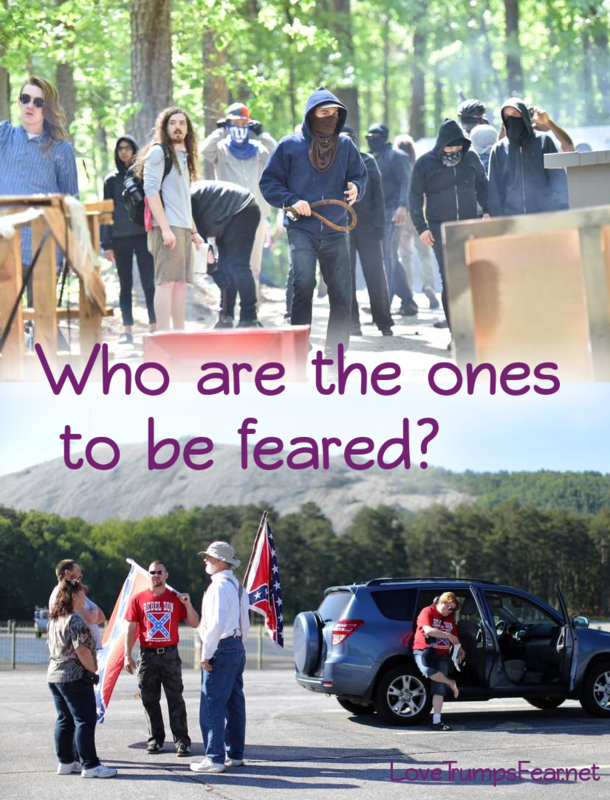 The white supremacists who gathered at Stone MountainÂ on April 23, 2016, have oppressive racist views that go against American ideals. But how do we oppose them without becoming them? 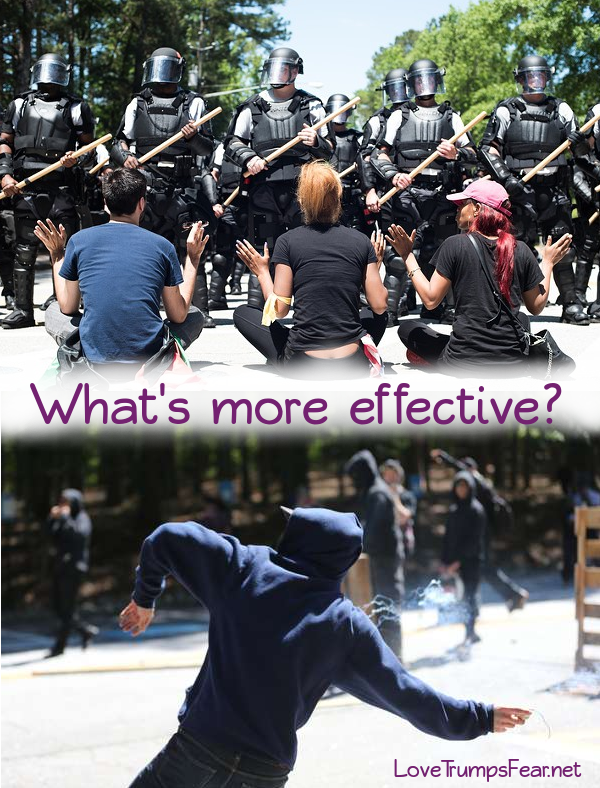 How do we exert our power without becoming oppressors? I was at Stone Mountain to be on the side of loveÂ with the anti-racists. But I was afraid of the very people I came there to love and support.Â I saw extreme intolerant behavior from people with whom I mostly agree, except for the violence. I refuse to be a victim, and nobody did anything *to* me, yet I felt fearÂ that seemed oppressive. I am saddened by the counterproductive nature of the counter protest. There are way too many cases ofÂ police treating black people unfairly. There are many racist laws on the books and the police at times enforce them unfairly. The â€œwar on drugsâ€ IS a war on people of color. But the answer is not to wage a war on the police. Can we Â *really* stop police from shooting unarmed black men by throwing rocks and fireworks at them? Will we make the police allies by puttingÂ them in the position where they must protect racist bigots? Â Will we really get white supremacists to stop being afraid by threatening them? What would have happened if the if the police had stood aside? Would we lynch the racists? We must stand against racism. If we stand against racism with hate, we risk becoming vindictive and divisive. The opposition becomes fearful and entrenched. If we stand against racism with love and a commitment to non-violence, we can win over hearts and bring people together. When we are more loving, fear abates and hateful behavior becomes repulsive. We must win through Love.